Discussion in 'General' started by hand2handking, Dec 13, 2017.
sooperhooper and peteweezy like this. Are message boards a form of media? I agree but if others don't see it that way okay they can have that pov too. He doesn't understand how to live amongst those with differing opinions. This might be my favorite thread at the moment, let's not clutter it with this discussion again. Even in it means making a separate thread about it. I never understand cats like you that are still on messageboards talking about man flip social media. I see this as something similar honestly. jordman23, John00, sonoftony and 5 others like this. RIP sleazyy, wayniac211, jpzx and 1 other person like this. Again, social media is what you make it. jordman23, dcallamerican, cedric ceballos and 4 others like this. Its definitely what you make of it. I deleted Twitter in 2011 and Facebook last year and I don’t miss it at all. It was just time being wasted on my part. But yeah social media has made a lot of people dumb with poor social skills. John00, sooperhooper and jordman23 like this. In a recent essay published in The Washington Post, a mother explained her decision to continue writing essays and blog posts about her daughter even after the girl had protested. The woman said that while she felt bad, she was "not done exploring my motherhood in my writing". One commentor criticized parents like the essay's author for having "turned their family's daily dramas into content". Another said the woman's essay surfaces a "nagging – and loaded – question among parents in the age of Instagram. … Are our present social media posts going to mortify our kids in the future?" These questions are valid, and I've published research about the need for parents to steward their children's privacy online. I agree with critics who accuse the woman of being tone-deaf to her child's concerns. I've been studying this topic – sometimes called "sharenting" – for six years. Too often, public discourse pits parents against children. 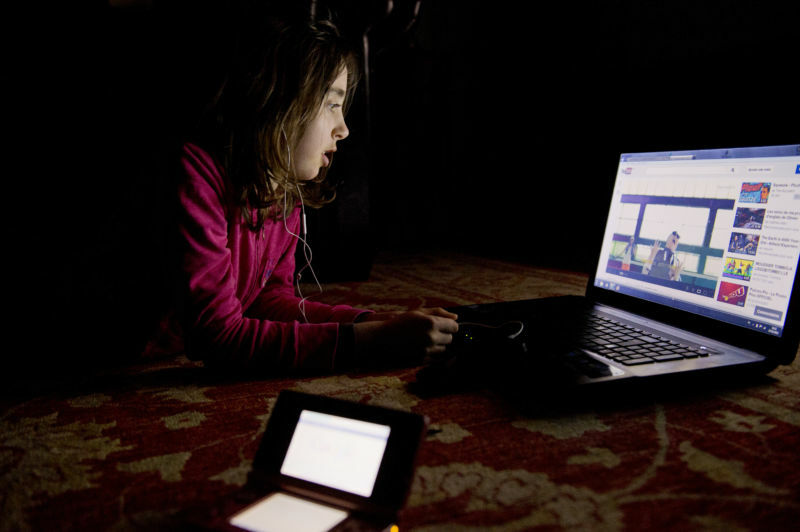 Parents, critics say, are being narcissistic by blogging about their kids and posting their photos on Facebook and Instagram; they're willing to invade their child's privacy in exchange for attention and likes from their friends. So the story goes. Despite the heated responses sharenting can evoke, it's nothing new. For centuries, people have recorded daily minutiae in diaries and scrapbooks. Products like baby books explicitly invite parents to log information about their children. Communication scholar Lee Humphreys sees the impulse parents feel to document and share information about their kids as a form of "media accounting". Throughout their lives, people occupy many roles – child, spouse, parent, friend, colleague. Humphreys argues that one way to perform these roles is by documenting them. Looking back on these traces can help people shape a sense of self, construct a coherent life story and feel connected to others. If you've ever thumbed through an old yearbook, a grandparent's travel photos or a historical figure's diary, you've looked at media accounts. Same if you've scrolled through a blog's archives or your Facebook Timeline. Social media may be fairly new, but the act of recording everyday life is age-old. Writing about family life online can help parents express themselves creatively and connect with other parents. Media accounting can also help people make sense of their identities as a parent. Being a parent – and seeing yourself as a parent – involves talking and writing about your children. Framed this way, it becomes clear why telling parents to stop blogging or posting about their children online is a challenging proposition. Media accounting is central to people's social lives, and it's been happening for a long time. But the fact that parents are doing it on blogs and social media does raise unique issues. Family album photos don't transmit digital data and become visible only when you decide to show them to someone, whereas those Instagram pictures sit on servers owned by Facebook and are visible to anyone who scrolls through your profile. Children's opinions matter, and if a child vehemently opposes sharenting, parents could always consider using paper diaries or physical photo albums. Parents can take other steps to manage their children's privacy, such as using a pseudonym for their child and giving their child veto power over content. However, debates about privacy and sharenting often focus on a parent's followers or friends seeing the content. They tend to ignore what corporations do with that data. Social media didn't cause parents to engage in media accounting, but it has profoundly altered the terms by which they do so. The problem is less about parents and more about social media platforms. These platforms increasingly operate according to an economic logic that business scholar Shoshana Zuboff calls "surveillance capitalism". They produce goods and services designed to extract enormous amounts of data from individuals, mine that data for patterns, and use it to influence people's behavior. It doesn't have to be this way. In her book on media accounting, Humphreys mentions that in its early days, Kodak exclusively developed its customers' film. "While Kodak processed millions of customer photos," Humphreys writes, "they did not share that information with advertisers in exchange for access to their customers. … In other words, Kodak did not commodify its users." Social media platforms do just that. Sharenting tells them what your child looks like, when she was born, what she likes to do, when she hits her developmental milestones and more. These platforms pursue a business model predicated on knowing users – perhaps more deeply than they know themselves – and using that knowledge to their own ends. In my view, that's the privacy problem that needs fixing. da r entertainment and dcallamerican like this. “Sideways for attention. Longways for results,” a man says in the middle of a cartoon. A girl watches a video on youtube. Tips for committing suicide are appearing in children’s cartoons on YouTube and the YouTube Kids app. The sinister content was first flagged by doctors on the pediatrician-run parenting blog pedimom.com and later reported by the Washington Post. An anonymous “physician mother” initially spotted the content while watching cartoons with her son on YouTube Kids as a distraction while he had a nosebleed. 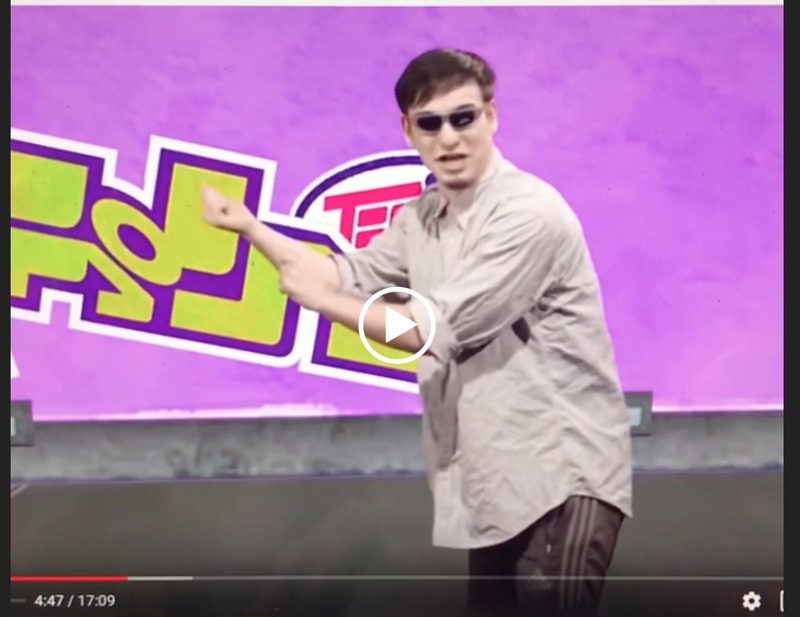 Four minutes and forty-five seconds into a video, the cartoon cut away to a clip of a man, who resembles Internet personality Joji (formerly Filthy Frank). He walks onto the screen and simulates cutting his wrist. “Remember, kids, sideways for attention, longways for results,” he says and then walks off screen. The video then quickly flips back to the cartoon. Man giving kids wrist-slitting tips in the middle of a cartoon found on YouTube. “I am disturbed, I am saddened, I am disgusted,” the physician wrote. “But I am also relieved that I was there to see this video with my own eyes, so that I could take the appropriate actions to protect my family.” Those actions included deleting the YouTube Kids app and forever banning it from the house. That particular video was later taken down from YouTube Kids after the doctor reported it to YouTube. However, parents have since discovered that several other cartoons contain information about how to commit suicide, including the same spliced-in video clip. In a subsequent blog post, pediatrician Free Hess, who runs pedimom, reported another cartoon—this time on YouTube—with the clip spliced in at four minutes and forty-four seconds. That cartoon was also later taken down, but Hess captured a recording of itbeforehand, which you can view on the blog. We work to make the videos in YouTube Kids family-friendly and take feedback very seriously. We appreciate people drawing problematic content to our attention, and make it possible for anyone to flag a video. Flagged videos are manually reviewed 24/7 and any videos that don't belong in the app are removed. We’ve also been investing in new controls for parents including the ability to hand pick videos and channels in the app. We are making constant improvements to our systems and recognize there’s more work to do. Nadine Kaslow, a past president of the American Psychological Association and professor at Emory University School of Medicine, told the Post that simply taking down the videos isn’t enough. “For children who have been exposed, they’ve been exposed. There needs to be messaging—this is why it’s not okay.” Vulnerable children, perhaps too young to understand suicide, may develop nightmares or try harming themselves out of curiosity, she warned. Suicide is the third leading cause of death among individuals between the ages of 10 and 24, according to data from the Centers for Disease Control and Prevention. However, more youths survive suicide attempts than die. Each year, emergency departments nationwide treat self-inflicted injuries in 157,000 youth between the ages of 10 and 24. Sixteen percent of high-school students reported seriously considering suicide in a nationwide survey. Suicide tips stashed in otherwise benign cartoons are just the latest ghastly twist in the corruption of kids’ content on YouTube and YouTube Kids. For years, the video-sharing company has struggled with a whack-a-mole-style effort to keep a variety of disturbing and potentially scarring content out of videos targeting children. Videos have been found with adult content ranging from foul-language to depictions of mass shootings, alcohol use, fetishes, human trafficking stories, and sexual situations. Many contain—and attract clicks with—popular cartoon characters, such as Elsa from the 2013 animated Disney film Frozen. This chilling phenomenon has been referred to as Elsagate. 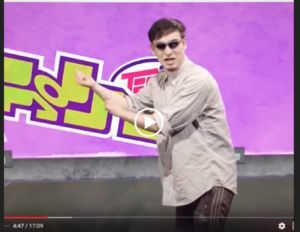 Though YouTube has deleted channels and removed videos, Hess points out that it’s still easy to find a plethora of “horrifying” content aimed at children on YouTube Kids. If you or someone you know is feeling suicidal or in distress, please call the Suicide Prevention Lifeline number: 1-800-273-TALK (8255), which will put you in touch with a local crisis center. Social media just reinforces how selfish society is becoming, yet we wonder why we lack camaraderie. It's like nobody really gives a eff about anybody because you basically can't afford to. iDon’tRead, dcallamerican and cedric ceballos like this. They used Instagram, YouTube and other streaming sites to create a 24/7 always under surveillance society. A girl i used to kick it with is trying to get her bonnet/wig business going and she's obsessed with the social media aspect. Her ig ain't really poppin, and she was all hype, showing me some other girl's modeling ig 'ooh look, she doesn't have a lot of followers but she gets 500 likes per picture! I wonder how I can get that many likes?" Seeing how obsessed she was was a combination of fascinating yet sad. It's like this sad competition, almost like a lottery. A few years ago, it was a lot easier to "hit' but now, there are sooo many people that it just seems pointless. I can only imagine how frustrated the 'ig models' get. You'll have one that's fine and posts pics basically naked and have 3k followers, then another girl that's just as fine and just as naked with 3M followers. I don't get it. My boy is getting an app started and he was telling me about the number of interactions necessarry to build a following. Basically comment on 100 random people's photos per day. if you get 25 follows out of that, then that's a win. Or something like that. It's a world that I have no interest in delving in. I love when a celeb doesn't have a big social media presence. slighted and dcallamerican like this. Probably the parents are products of getting "whooped" and clowned on themselves back in the day so they extra protective so their kids won't have as bad as them. That's what I think goes on with most of this stuff folks too hype about. Been working in soc services for a minute and one thing I realized is black folks aren’t anti family as media portrays. They love hard and show empathy way more than other ethnic groups. peteweezy and slighted like this. sooperhooper and harlemtothebronx like this. Social media is atrophying people’s actual social skills. solewoman, sonoftony, slighted and 1 other person like this. sooperhooper and sonoftony like this. ^that says A LOT about the effects these outlets have on kids. Adults are worse on social than kids... stop making it so one sided. da r entertainment and sharpshooter718 like this.